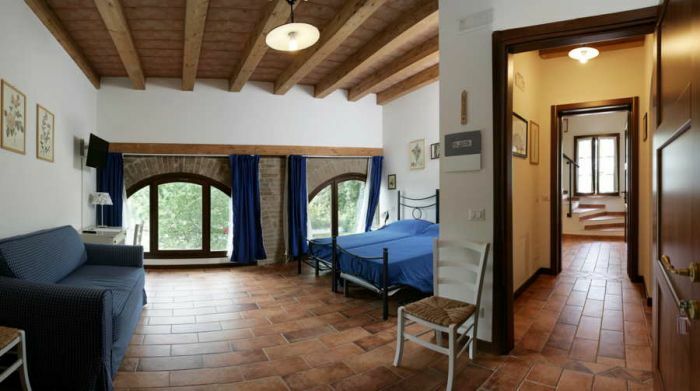 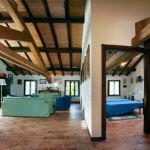 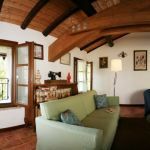 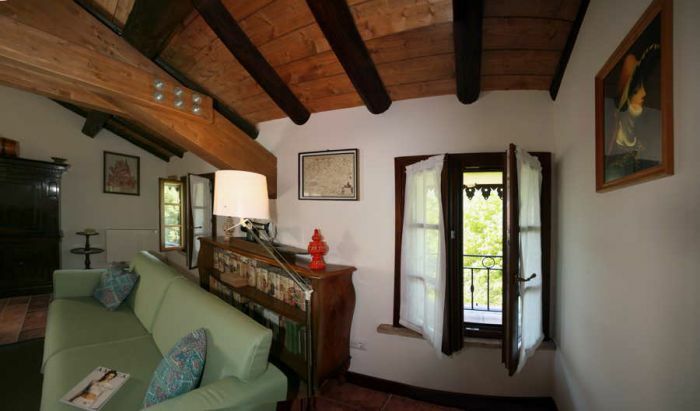 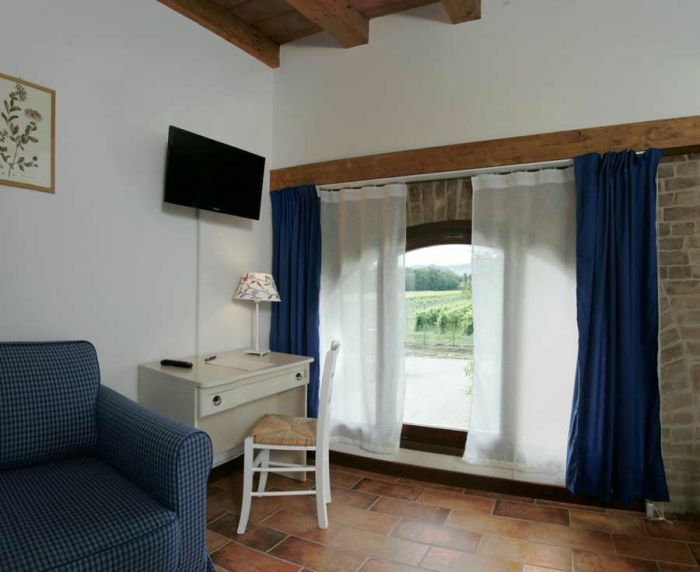 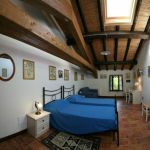 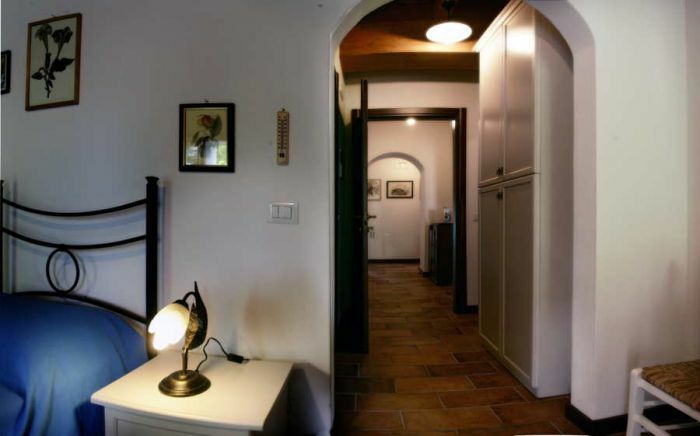 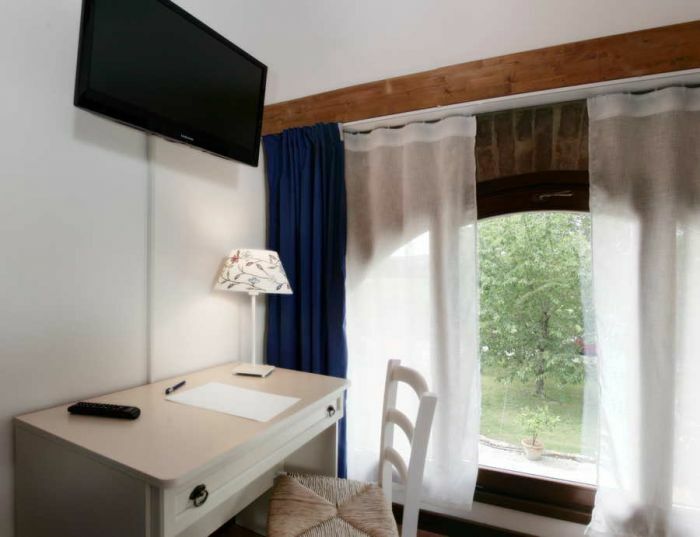 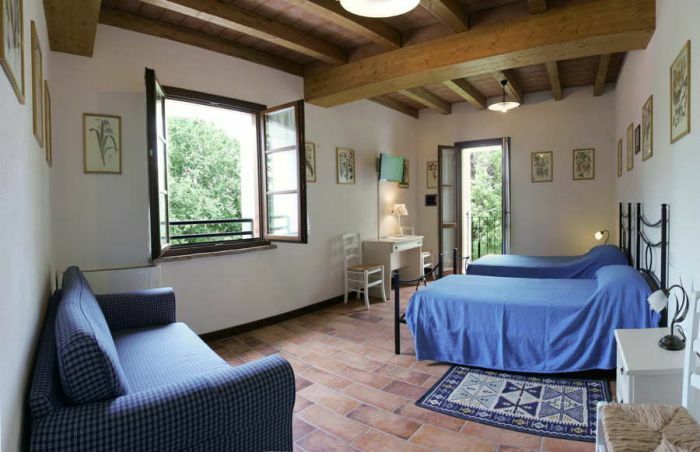 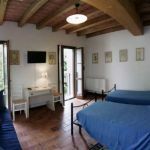 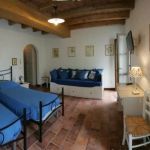 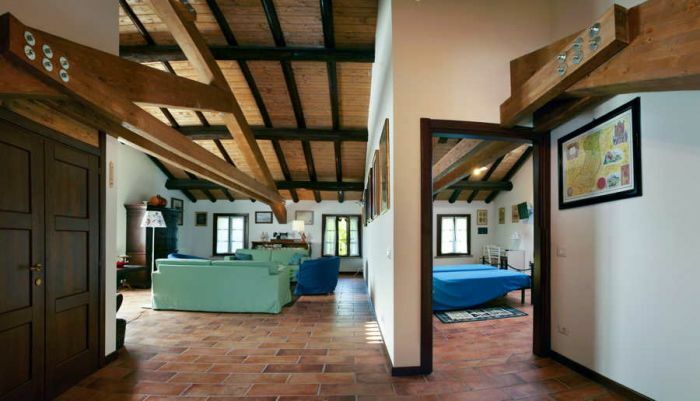 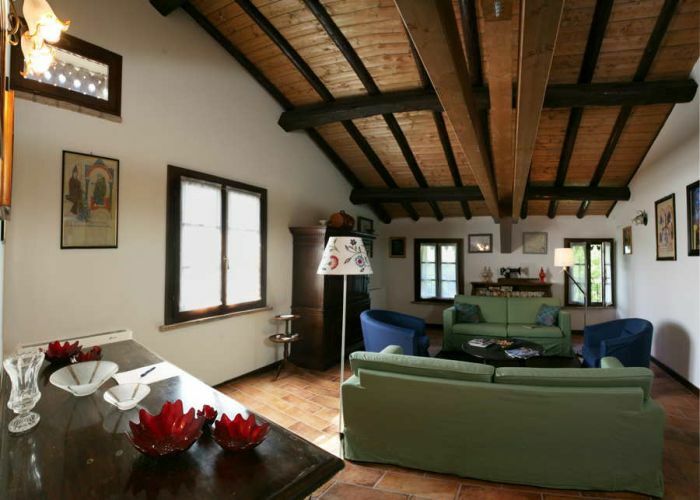 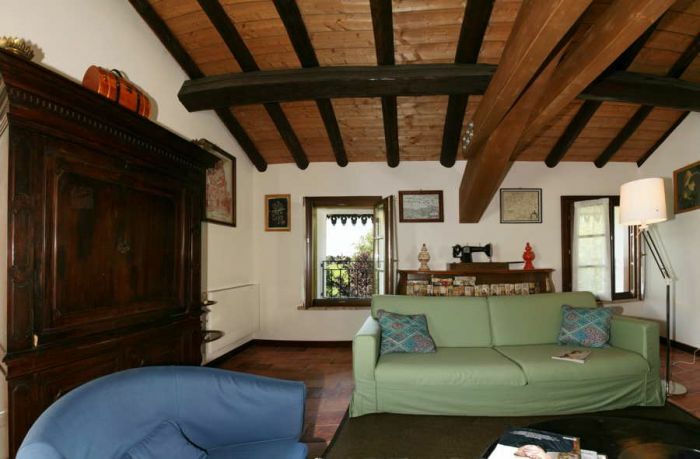 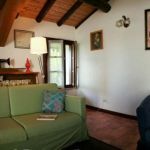 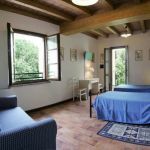 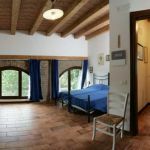 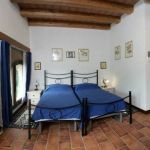 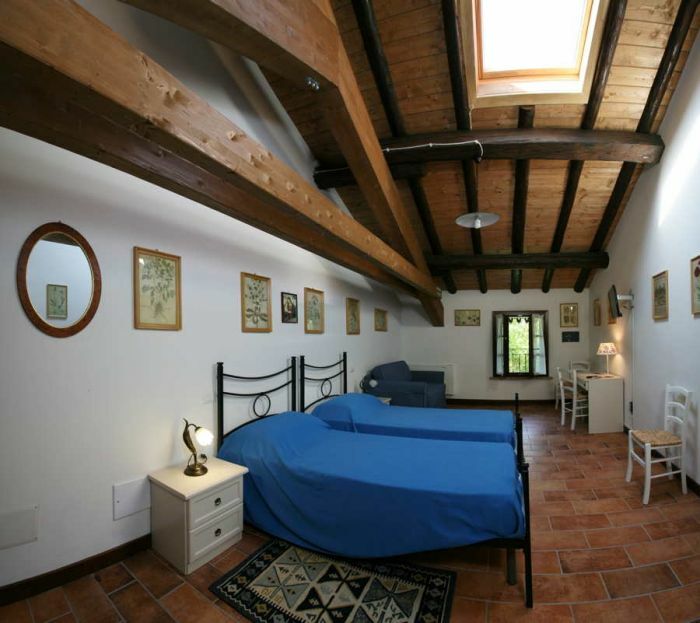 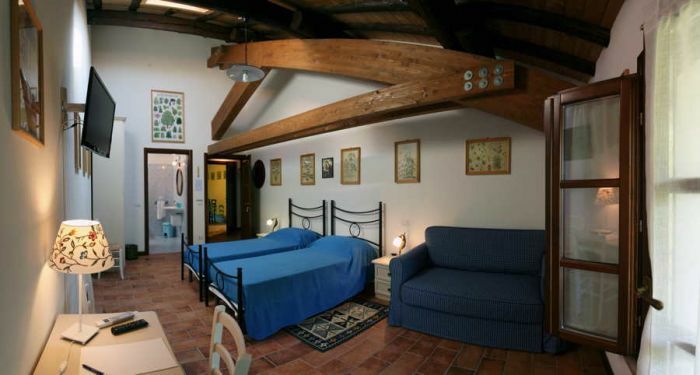 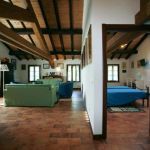 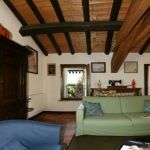 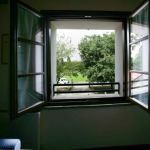 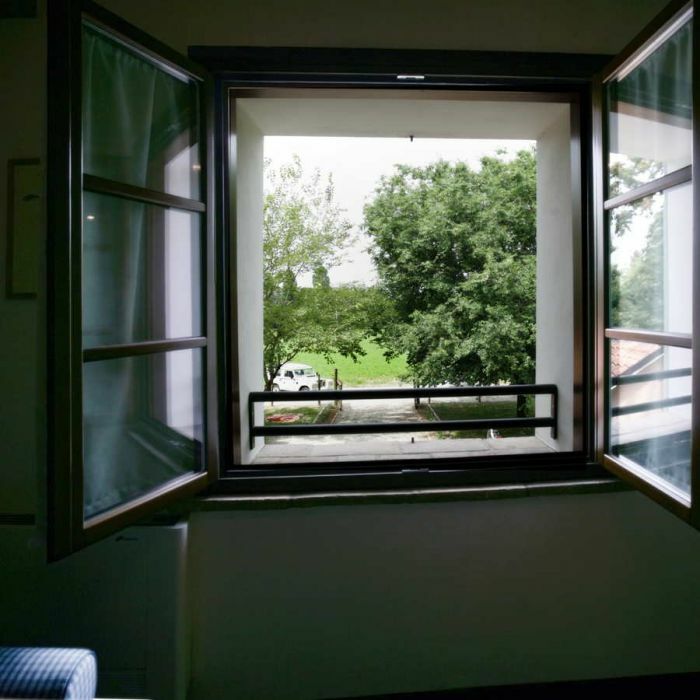 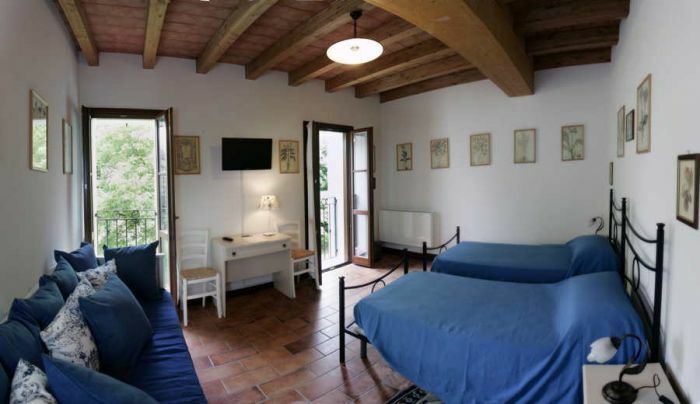 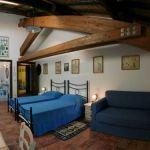 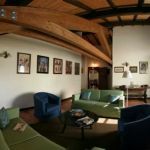 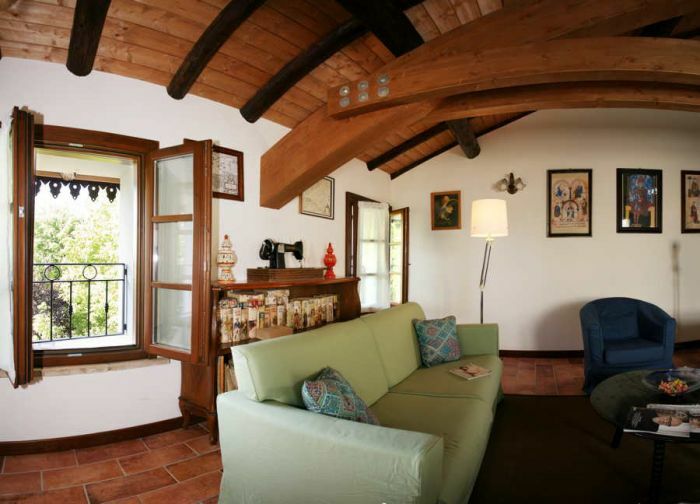 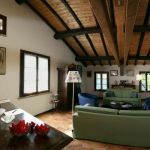 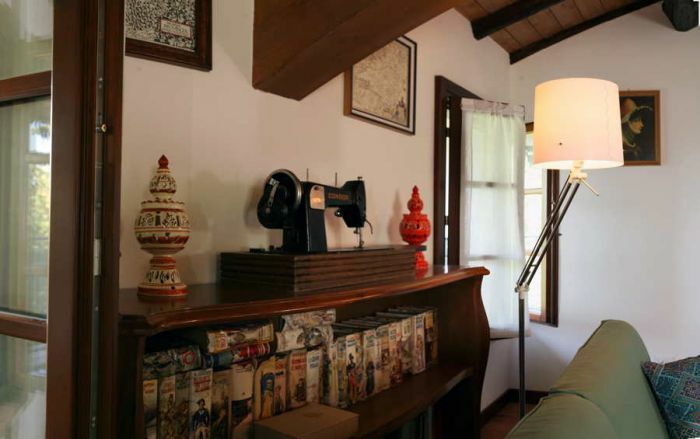 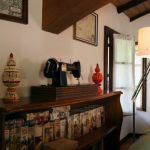 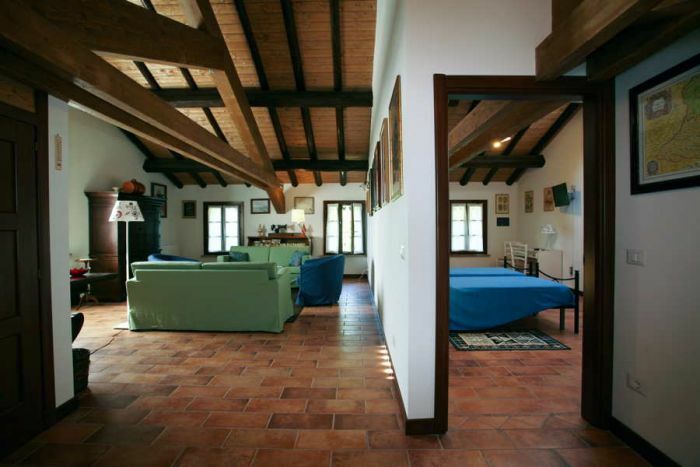 The Vigna dei Peri, a beautiful holiday farm in the heart of Emilia Romagna, has four large guest rooms, which have been renovated in perfect classic Reggio style, with terracotta floors, exposed wood beam ceilings and wrought iron beds. 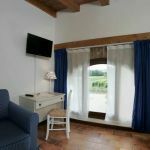 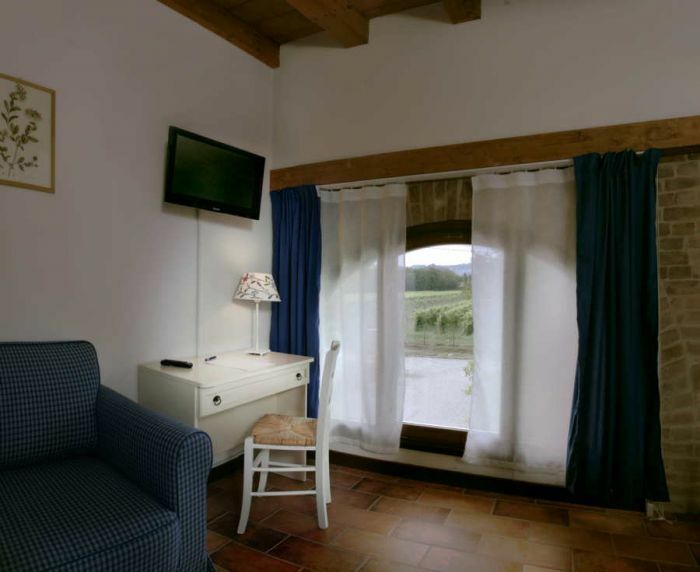 The classic style, found in every room of this splendid farmhouse, blends perfectly with all of the modern comforts, guaranteeing you a fully relaxing stay. 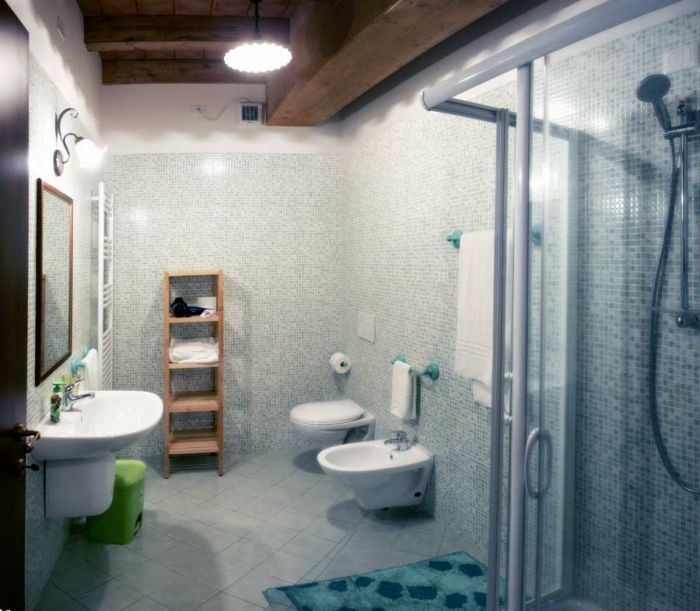 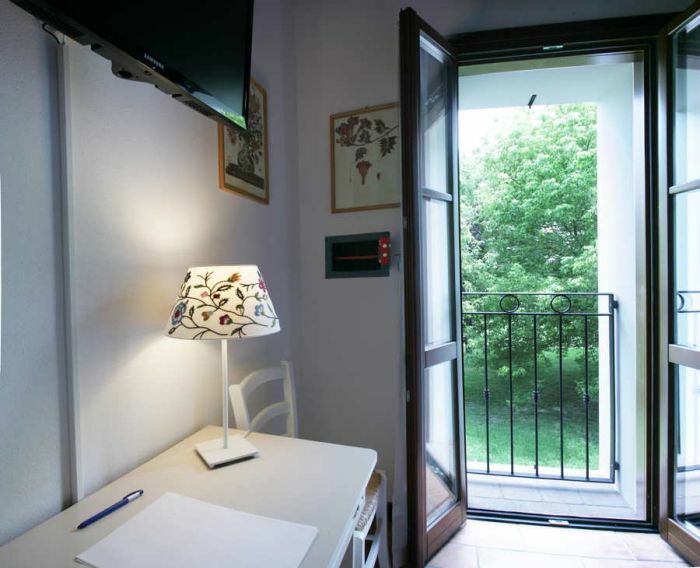 Every guest room has a private bathroom, lift access, air conditioning, TV and safe. 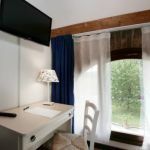 Thanks to the spaciousness of the rooms, the double beds can be easily transformed into single beds, based on availability and the guests' needs. 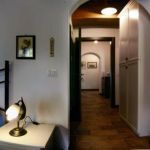 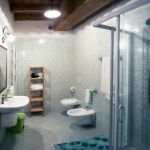 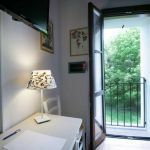 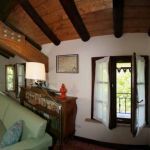 The holiday farm has a delightful common room connected to the upper floor by a charming wrought iron stair with sections of exposed stone on the walls.